Tatted Insertion (2014) is a chapbook made in collaboration with artist Leah Virsik and printed at San Francisco State University under the guidance of Mario Laplante. To compose the poem, Sarah braided two pieces of source material from an issue of Comfort magazine, circa 1915. One describes a lacemaking technique called tatting, in which thread is repeatedly knotted using a shuttle. The other advises readers—mostly farmwives—on how to increase their breast size with calisthenics. We wanted to decipher the code of the tatting instructions by translating the 3D process into a 2D representation. Leah actually followed the pattern and ran the resulting lace through the press in a process called pressure printing. The poem’s instructions are mirrored by the physical process unfolding (or, more accurately, coming together) before the reader’s eyes. 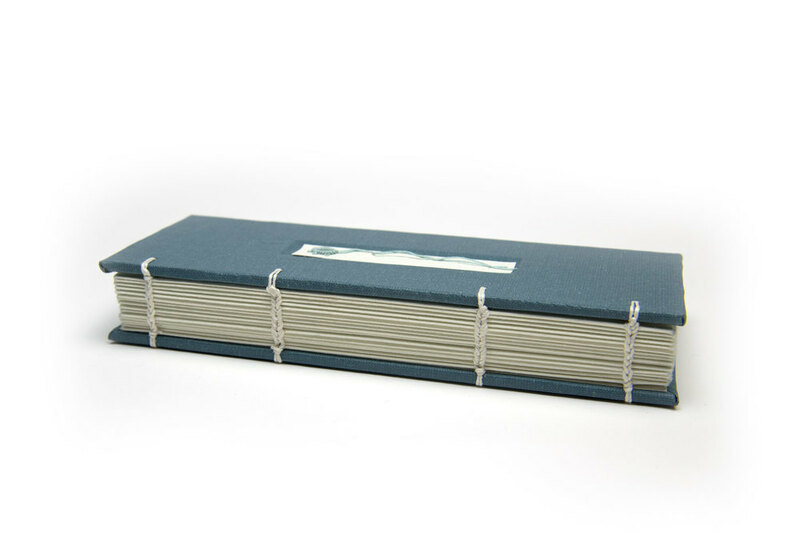 Read more about our collaborative process at the San Francisco Public Library's Book Arts & Special Collections Blog. Buy one here, or visit it at the Grabhorn Collection on the History of Printing and Development of the Book at the San Francisco Public Library, or at the Special Collections of the J. Paul Leonard Library at San Francisco State.